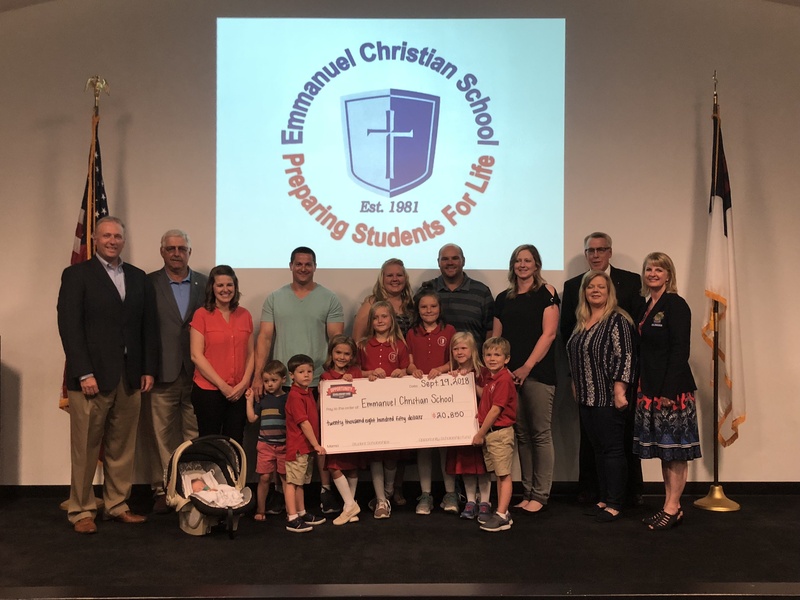 ENID, Okla. — Opportunity Scholarship Fund presented more than $105,000 in scholarships to 47 families at two private Enid schools last Wednesday. The scholarships will allow 47 lower-income families in Enid to be able to afford to send their children to Oklahoma Bible Academy and Emmanuel Christian School. OSF provided the scholarships to 35 families for OBA and 12 at ECS, said Rob Sellers, executive director. “They would not be able to afford the ability to attend that school or have their child attend the school they want them to be at without this help. We just sort of bridge that financial gap to be able to allow the students to be able to attend something … we’re able to give them a little bit of help that’s necessary,” Sellers said. Parents receiving the financial aid will make up for the difference in tuition not provided by the scholarship, he said. 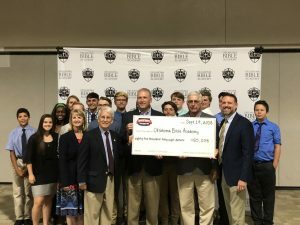 The organization is a 501(c)(3) scholarship-granting organization “providing scholarships for lower-income families to afford to attend accredited private K-12 schools in Oklahoma.” OSF takes in donations, and donors can specify a school they want the funds to be directed towards for scholarships, Sellers said. Schools receive applications from families needing financial assistance and then determine awards or grants of scholarships, and after notifying OSF, the organization will fund the scholarships from the donations and provide checks to the families, who use that toward tuition. Applicants must fulfill certain requirements, the main being income. Sellers clarified they’re not trying to “compete” with public schools. “We’ve got to find those situations where kids can excel. Whether it’s an online school, private, charter, public, whatever. Find that real environment that helps them connect, and if we can help them and all of our Oklahoma kids … we’ve got to do a better job of reaching them … this is our one little piece (where) we’re able to help,” he said. Altus Christian Academy joins OSF! previous post: St. Paul’s Lutheran School in Enid joins OSF!